m back again with another gist for u guys on watz taking 9ja out there, 'n' making these catz realize that we r here 2 stay n not thinking of going anywhere. yeah u heard me right. N the word is fashion, a brief history of fashion shows us just how long people have always had a deep desire to stand out 4rm d crowd and look good. Now all this talent had to be show cased and for people to see, know wat was in vogue for the season and in the long run, buy, as the fashion industry is also a business that generates millions of dollars a year. so much so that now even celebrities are now having brands of their own, indeed these days its almost a given example Nelly~ applebottoms, eminem~shadyltd, some of the more famous ones are p diddy~seanjohn, j.lo~sweetfaceand justsweet, beyonce~house of dereon and dereon, victoria beckham~dvbstyle. So came about the birth of fashion week which was intented to be a meduim for established and upcoming designers to show case their work. in this elite world of fashion as with all other industries comes their own terms which i guess is to secretly show us the line that separates us outsiders. Alas, fear not for i hv come to debunk the mystery, to make clear and give full and in depth meaning to the 1nce unclear, with a lot of pictures, lol. 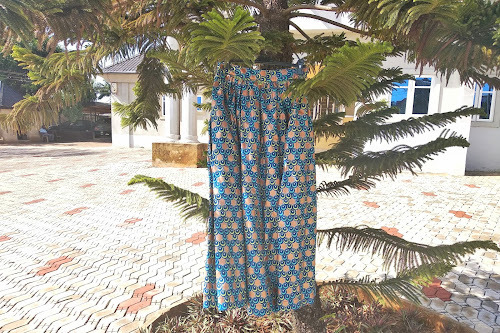 simply means ready made clothing, which are made or sewn in standard sizes and available from merchandises in stock and mostly sold in bulk. 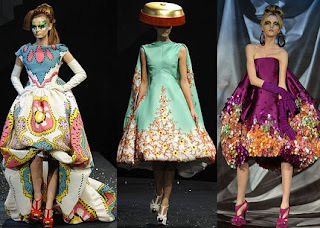 mostly in expensive clothes although some can be expensive but never as much haute couture. these clothes are mostly sold on the high street, so your high street labels like h&m, topshop.etc. although there are also some high end designers who also make ready to wear lines. like elie saab, valentino, dior, miu miu, alexander mc queen, micheal kors etc. which definitely feature on d pricey end of the ready to wear spectrum. 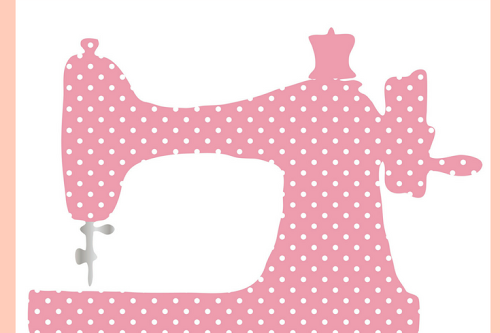 haute means high or elegant, couture means sewing or dressmaking. so put together it refers to designing, creating and selling high fashion custom made womens wear to a select clientele. the rights to this name are protected by the syndical chamber for haute couture located only in paris. members are required to present runway shows twice a yr, each collection consisting of upto 35 separate outfits for evening and daywear. haute couture clothing costs from as little(yeah right) as $26,000 to over $100,000. taking about 100 to 400 hrs to make 1 dress. today only about 2,000 women in the world buy couture; 60% of those are american with only 200 as regular customers. what inevitably happens is that these talented designers loans their clothese to celebrities for publicity. i mostly like to call it anything that starts a new trend. by its very nature nothing stays vanguard for very long because once it becomes a norm it is no longer experimental or new and exciting. getting the picture yet? another thing about avant garde is that it does defy a confined meaning as wat might seem new or innovative to 1 might not seem so to another. 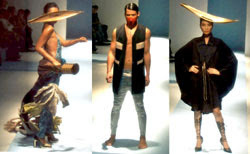 some popular avant garde fashion designers include ann-sophie, miguel adrover, eddie baddeo etc. hopefully this has cleared up some of the issue u hv wit these fashion shows or u hv even picked up something u didn't kw b4, feel free to ask me for clarification on anything else. do click on the links for more indepth explanation. next post will reveal y in the heck i started this topic.